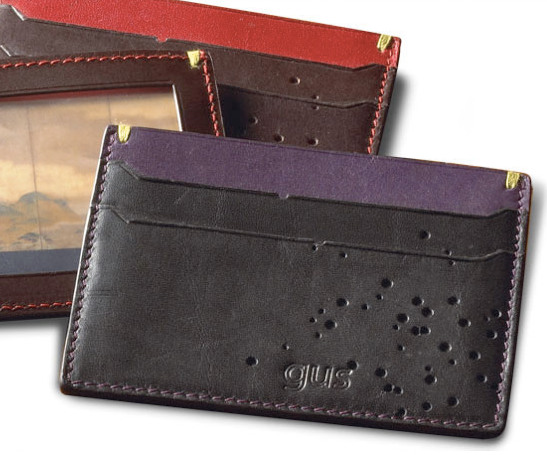 The American brand, güs, employs old world Italian craftsmanship to produce handmade men’s accessories. Cory Loncar of güs was kind enough to grant the following interview to Things Is Cool. THINGS IS COOL: Who are the people behind güs? GÜS: güs was founded in 2007 by two guys in the design business, Mark Loncar and Kirk Thornby. Since then, we’ve kept it in the family and grown it to include others from a variety of creative and management backgrounds. T.I.C. : Where did the name come from? GÜS: The name is based on two dogs—our [Cory and Mark Loncar’s] Mom’s dog, Gus, and Kirk Thornby’s dog, Goose. So there’s some fun in the name and pronunciation depending on who you ask. T.I.C. : How did the brand get started? GÜS: To us, there was an apparent lack of well-made, hand-crafted men's accessories in the marketplace. Those that existed looked to be some combination of outdated, out of style, and embarrassing to show in public. güs combines the craftsmanship and materials of Italy with contemporary styling and functionality. T.I.C. : Where is home base? GÜS: güs is based in California where all the designs and day to day operations are managed. All materials are purchased from small companies throughout Europe, and the manufacturing of the line takes place in Calenzano, Italy, just outside of Florence. T.I.C. : What's the creative vision? GÜS: Our original positioning was “exceptional products for exceptional people,” which defines a lot of what we do. We didn’t want to make the same item for everyone; that’s why we work closely with small Italian manufacturing studios, or bottegas, because each piece is different simply by the way it is made. The designs are masculine, contemporary, and built to last for years. Since we make very few quantities of each piece, we can truly focus on a level quality you won’t find in larger, brand-name products--especially at the price points we offer. T.I.C. 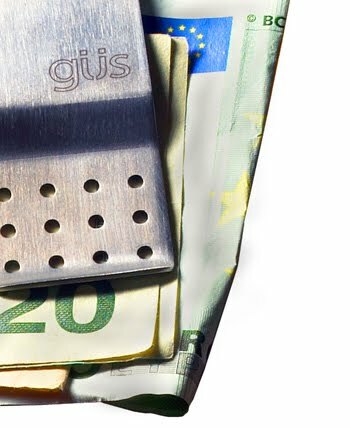 : What is it about Italian craftsmanship and/or materials that leads güs to have the products produced in Italy? GÜS: First and foremost, history. Italians (and more specifically, Tuscans) have been working with leather for centuries, so they have tools, machinery, tanning techniques and manufacturing methods unequaled anywhere else. For example, our Split Shot perforation can only be produced correctly using a very old Italian machine; it can’t be duplicated with laser cutting or clicker presses because the results wouldn’t be the same. Even the needles and thread are different. That’s why brands like Gucci and Prada are held in such high esteem for their leather goods. It’s not by accident. T.I.C. : güs products strike a balance between traditional form and modern style. How did you go about achieving it? 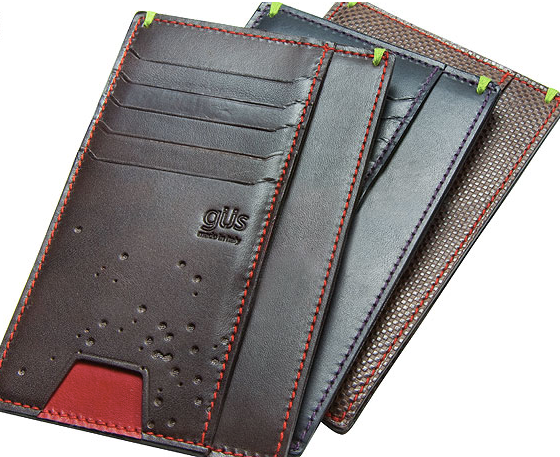 GÜS: It typically starts with the leather. We regularly visit the leather shows in Italy to look for new trends or processes that inspire us. 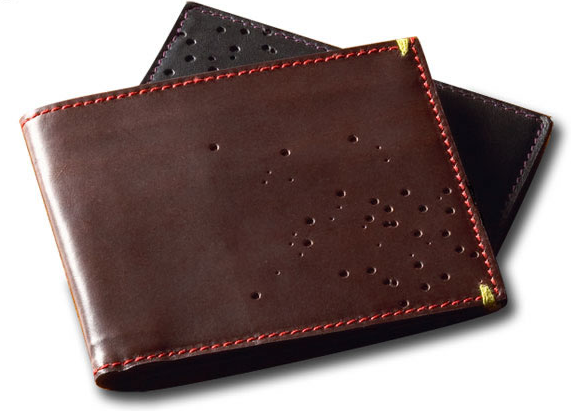 For example, we use a vegetable-tanned leather that patinas and ages in a very unique, yet durable, manner. It develops dents, scratches and oil-marks like old western saddles. Each is different depending on its owner, which contributes to its “masculine” styling. Then, we look at the contemporary needs and uses that each style requires. 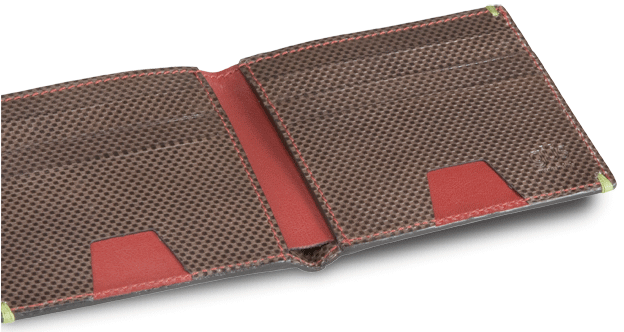 Do the intended users carry cash in their wallets? Will the piece be carried mostly in a suit or in a back pocket? As in the case of the Passport Folio, we found that people who travel internationally tend to have lots of frequent flyer cards and GSM chips for mobile phones; hence, the Folio features lots of card pockets, separate areas for foreign currency, and a couple unique pockets designed specifically to hold GSM chips, a feature unique to our Passport Folio. T.I.C. : Can you offer a glimpse into any future projects? GÜS: The güs line expands each year. 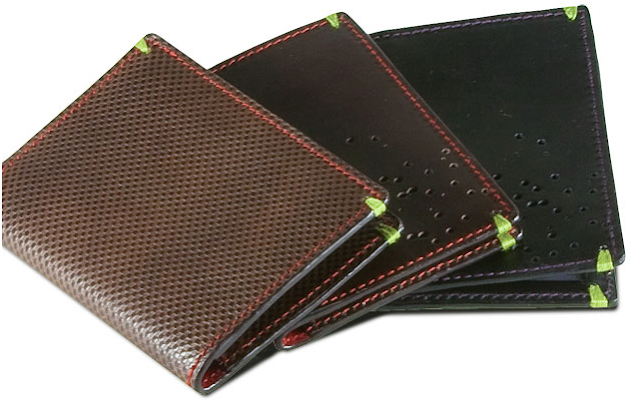 Most recently we have added the sleek “Edge” card case, a larger version of our popular “Horizontal Wallet,” and a fairly unique concept called “The Note Pad,” a wallet that incorporates 4x6” note cards. Soon, we plan to introduce a women's line of products along with a few more new ideas for guys. We might even go beyond leather if we find something that inspires us and fits our vision. T.I.C. : Where can items in the güs line be purchased? 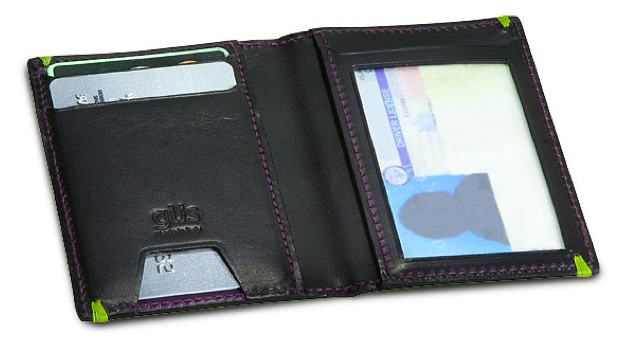 GÜS: Currently, the best way to purchase güs is directly through our Web site, www.gusstyle.com. It helps keep costs down, and we actually pass that savings along to customers. However, we are also carried by a couple boutiques in San Francisco and Los Angeles (Jack’s on Chestnut, Propeller on Hayes, and Fred Segal in West Hollywood).